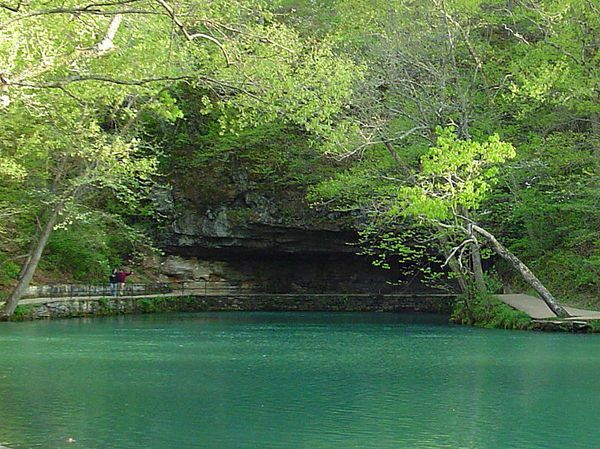 Known as the “Forest City of the Ozarks,” this beautiful city in south-central Missouri was born in 1859 when a man by the name of John Wood anticipated the extension of the St. Louis-San Francisco Railway. 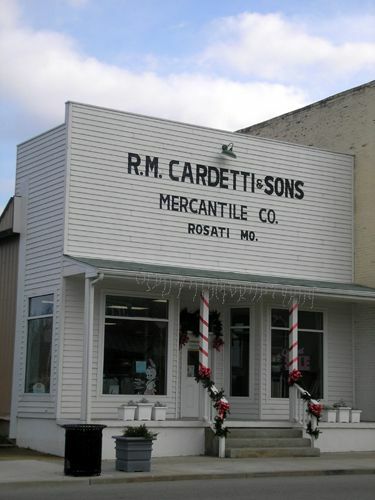 Intended as a shipping point for the nearby Meramec Iron Works, which had been shipping its products by wagon train, Wood saw a great opportunity in creating the town. The town was first called Scioto but its name was changed to St. James within a year. The Meramec Iron Works mined ore along the banks of the Meramec River, providing the town’s first employment. When the Civil War began, the Union Army took control of the town after fierce partisan fighting took place in the area. A detachment of German volunteers, who were encamped near the town, were so impressed by the area, that when the war was over they moved their families to St. James, creating an ethnic flavor that remains today. After the war, the 1870s depression led St. James to turn to lumber, agriculture, and winemaking. It was Italian immigrants fleeing from the oppressive working conditions in Chicago who started the vineyards and winemaking industry of the area. Though the Meramec Iron Works had slowed down, it continued to operate until 1891 when the iron deposits were exhausted. Today the industrial ruins can still be seen in Meramec Spring Park. However, the town’s agricultural business had expanded to berries, dairy products, and lumber cut from the surrounding hills was shipped all over the country. Soon, more industry came to the area in the form of a distillery and a women’s garment factory. When Route 66 came through, St. James became a tourist destination with travelers enjoying its rich forests, Meramec Springs, and its proximity to the Ozark Riverways. Today, this town of some 3,700 friendly people boasts a quaint downtown area filled with gift and antique stores, as well as several local wineries. The remains of the one time thriving Meramec Iron Works can be found at the Meramec Spring Park, which also includes two museums. While in St. James, be sure to visit Finn’s Motel, a long time Route 66 resting point. Unfortunately, they no longer have the nostalgic sign shown here. It is located at 777 Grover St.
Also, keep your eyes open for an old Derby Station located on the south side of Route 66 and the “new” Cardetti & Sons business building. 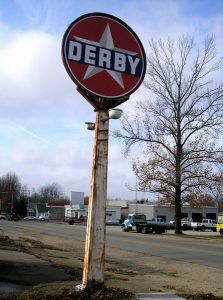 As you near Rolla, you will see Route 66 Motors, which once served as a 1950’s era gas station. Later, the business specialized in antiques, Route 66 souvenirs, and classic cars. Though its gift and souvenir shop is closed, it still features classic cars. It is located at 12651 Old Highway 66. © Kathy Weiser/Legends of America, updated November 2017. I have heard in the past and then noticed it in the article that there was a distillery in st James. I was wondering if you had any info on this or know of any resources I could look into. Thanks so much.